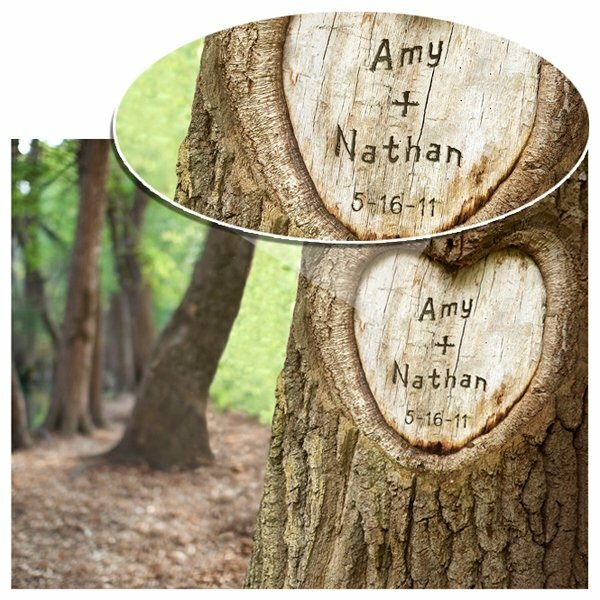 Capture a symbol of true love with our Tree of Love image personalized with your own names. 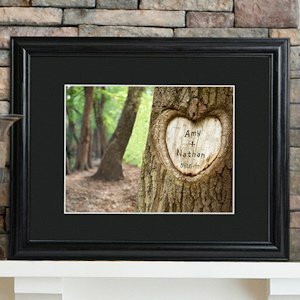 A great gift for the newlyweds or for those celebrating a special anniversary, we "carve" 2 names (up to 10 characters each) and date into this majestic tree trunk print and then frame it with a black, beveled 23" x 19" wood frame with 3" mat and glass front. 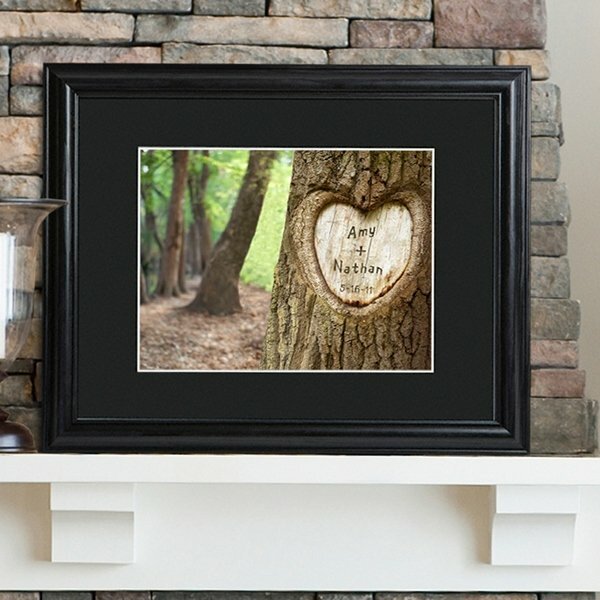 Matted image measures 13 3/4 " x 11 3/4". 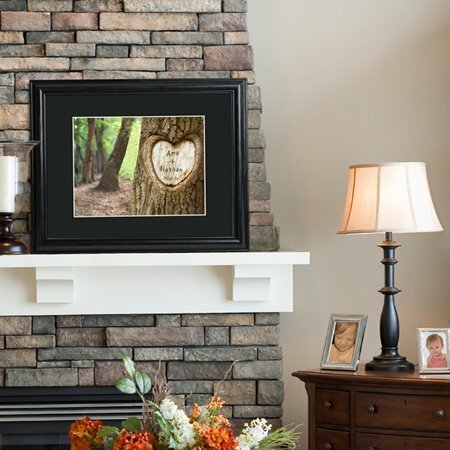 Includes hardware to hang the frame (one clip in the back center).